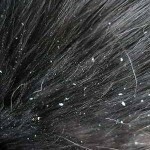 What causes dandruff? Well, you see, our entire skin, from our scalps to the soles of our feet, sheds dead skin cells on a daily basis. We get a complete coating of new skin every 28 days or so, but we hardly even notice it. Our bodies also play host to a lot of microorganisms like bacteria and fungi, feeding off on the sebaceous oils that our skin produces. Our scalp in particular is home to a kind of fungus called malassezia fungus, and its food is the oils produced by the hair follicles of our scalp. Dandruff happens when, for some reason or another, the malassezia fungus goes crazy and irritates our scalp, causing the dead skin to shed a lot faster. So, instead of shedding the dead skin cells of our scalp for a month, the shedding happens in less than two weeks, and the oil that our hair follicles produce cause these dead skin cells to clump together and become dandruff. Until now, the factors that trigger this phenomenon with the malassezia fungus are still the subject of research. Dandruff is an embarrassing hair condition, and it can recur despite your best efforts. But with proper hair care, the recurrence of dandruff can be controlled. The best way to keep the flakes at bay is to shampoo your hair every day – picture perfect hair. Dandruff can, of course, become stubborn, so if washing everyday with your regular shampoo does not stop the flakes from becoming haywire, the next best thing to do would be to start using anti-dandruff shampoos. Look for anti-dandruff shampoos with zinc pyrithione, selenium sulfide, salicylic acid or ketoconazole as the active ingredient. To keep your scalp from developing immunity to these shampoos, go ahead and rotate brands at least once a month. For optimum results, you can lather your hair with the shampoo of your choice twice. The first wash will clear the scalp of the flakes and the oil buildup. The second one would let the chemicals in the shampoo get absorbed by the scalp – haute hair. You can also try homemade remedies to wash the flakes away and to keep the dandruff from recurring. 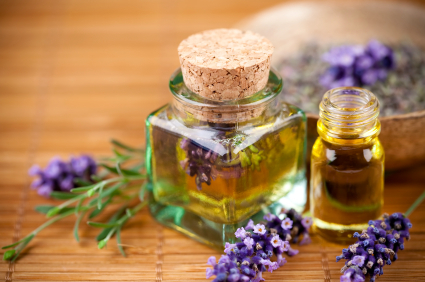 What is considered the best homemade remedy to dandruff is a vinegar wash. Mix two teaspoons of vinegar with six teaspoons of water and rub it against your scalp before you go to bed, then wrap your head with a towel. Apply the same solution to your hair once again in the morning when you wake up, then rinse it with water. You do not have to worry about the smell of vinegar in your hair, as the smell of vinegar does evaporate eventually. Whatever you do, never, ever scratch the clumps with your fingernails. It will cause wounds on your scalp. 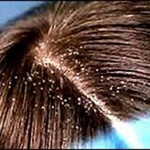 Dandruff is an embarrassing hair condition, but it is not unmanageable. Just take good care of your hair and the flakes will go away.